The summary of the book basically tells the story. Characters are lovingly drawn with all their quirks, challenges, flaws, and leaps—and it’s a large cast with some story lines meant to go on in other adventures. The first book in the series is complete, though, so never fear you’ll be left hanging by the main characters. Several different characters narrate. There are brutal parts as the characters undergo physical action in confrontation. The situations feel frightening, real, loving, tense, as each scene unravels the story a thread at a time. There are plenty of moments of fun and silliness that showcase the characters and diffuse tension. There are parallel substories going on, so please be aware that, like time itself, the reader is transported to event upon event, many happening at the same time. 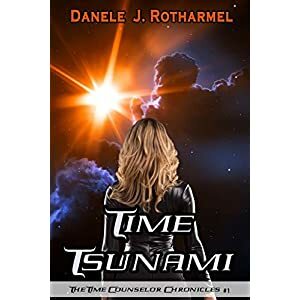 Time Tsunami is not for book gobblers; readers will want to spend some quality time (pun intended) in Rotharmel’s world, which is both familiar and exciting. While there are plenty of vague references to how time travel can happen, it’s best if readers don’t try to work it out, but simply enjoy the story as much as the author obviously did while writing it. The inspirational elements are detailed and involved but not overboard and necessary to help us all understand that the God of the Universe is in control of all of Creation, no matter how we try to bend it. Romance abounds! Though his will leaves the estate to Jeremy, the boy is not yet of age. His grandfather’s nephew, a man with a mysterious past, is named guardian of the property and soon arrives to take up his duty. Unfortunately, the man has a son who is both evil and cunning. Since he stands to inherit the estate should Jeremy die, he will stop at nothing to get his hands on the property. Karen, tell us what you love about A Relative Matter. What I love about this book is the fun I had doing research into the Regency period. The customs and proprieties of the time were fun to incorporate into this novel. I loved developing the characters and including a tread of mystery. My least favorite character was the unpleasant Mr. Fletcher. Share something you learned during the research. The research was intriguing. I enjoyed learning about the London social season as well as how the laws of inheritance worked. I am currently reading The Deer on a Bicycle: Excursions into the Writing of Humor by Patrick McManus. My next project is to finish writing the contemporary romance in which two unrelated young adults share custody of their nephew. 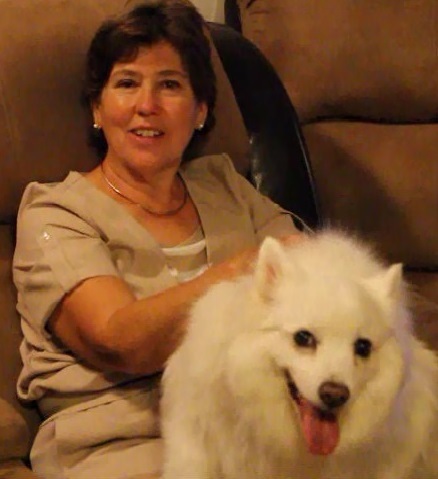 A native of Houston, TX, Karen spent her early years enjoying life along the Gulf Coast. After high school, she attended Texas A&M as well as the University of Houston where she obtained a B.S. in early childhood education. 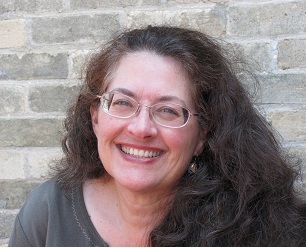 She has written numerous articles and stories, books for children and novels for adults. She particularly enjoys writing contemporary and historical romance. She now lives in the Southwest with her family and assorted pets. One moment of sin leads to a path of pain ...and unexpected love. Stephanie’s life hits a speed bump in the wake of her boyfriend’s sin. Splitting up with him, she faces a future of difficult choices shaded in shame. She wants to do what is right but the new man in her life leaves her fantasizing about a future that is now beyond her grasp. Roberto finds his heart and professional world turned upside down by the beautiful bombshell. He struggles with his own inner demons and past so he’s not about to cast stones. When he is accused of immoral behavior, and temptation haunts him from every side, can he stand true to the calling God has given him? Joining forces to face the future though comes at a high cost for them both as their individual pasts rise up to destroy them and their relationship. Integrity comes with a high price tag. With a deep faith in God and the help of friends at Orchard Hill Church, can they find happiness and love they long for? Susan, tell us what you love about this book. I love Roberto’s integrity, especially in the midst of difficult circumstances and in spite of his own pain. While the story is more Stephanie’s, Roberto made a great tortured hero. Stephanie has been a rock for her friend Renata (Pesto & Potholes) and when I shook up her world I didn’t know what to expect. The two of them together? Sizzle. Introduce us to your most quirky character. 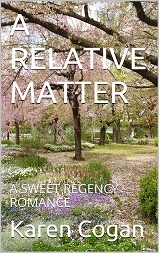 The quirky characters would be Roberto’s parents, but they are really just sweet and exuberant. Can you share something you learned during the research? I didn’t do a ton of research that I remember . . . but I wrote the original draft about four years ago! Most of my “research” came from conversations over the years that informed the writing of the story. I’m reading Her Deadly Inheritance by Beth Ziarnik. But I read a lot of book at one time. I’m also working through some non-fiction books: The Divine Conspiracy (Dallas Willard), Humilitas (John Dickson) and Switch (Chip & Dan Heath). And of course the Bible which stands in a class by itself. In Matthew right now. Book three in the Orchard Hill series is Feta & Freeways and is tentatively due out in September. A novella which is part of the “Love Is . . .” series by Prism Book Group, is called The Baron’s Blunder and is due out in August but also serves as a prequel to my Regency series. I’m juggling edits and revisions on several manuscripts right now! Thank you for coming today, Susan, and best wishes with your work. Baganz’s tale of contemporary relationships, choices, reactions to the things that happen is a thoughtful and cautionary story. It is not traditional romance, and told with equal vulnerability from both the male and female interpretation of a relationship. The author’s background in mental health authenticates the reluctance and shame behind criminal actions such as forced sexual relations between adults in potential compromising situations. Baganz’s female protagonist is an extraordinarily beautiful woman, desired not only by a dangerous illegal immigrant cook working at the restaurant where she’s a silent partner and server, but also by the owner of the family corporation for nefarious purposes. Another of her instant admirers has the potential to steal her heart. But Stephanie’s secret colors her life and future. With the support of her friends and business partners she explores a heart-wrenching decision. Stephanie’s new admirer, however, attorney Roberto, offers another option. Roberto is as close to a rescuing knight as can be, but for a shameful recent past that changed his life and leaves him in great physical pain that stretches his coping skills. Two very broken people, from families that directly influenced them, come together through faith and hope to forge a new future, one that is threatened even after their marriage. Surviving the tough stuff becomes more than just a saying for Stephanie and Roberto. Salsa and Speedbumps is great food for thought. Told from multiple viewpoints. Recommended for readers who enjoy some thrills and danger, and heavy duty emotional inspirational stories. Susan speaks, teaches and encourages others to follow God in being all He has created them to be. With her seminary degree in counseling psychology, a background in the field of mental health, and years serving in church ministry, she understands the complexities and pain of life as well as its craziness. She serves behind-the-scenes in various capacities at her church. Her favorite pastimes are lazy ones--snuggling with her dog while reading a good book, or sitting with a friend chatting over a cup of spiced chai latte. What an exciting 2016 kick-off for Clash of the Titles. Readers can choose from a teen novel, mystery, suspense/ thriller, love trilogy and an Amish novella collection of sweet romances. One of each sounds good. Peruse the selections, decide which to put at the top of this year's to-be-read list, scroll down, and vote for it on the form below. Voting starts today, January 20th, and goes through midnight PST on January 26th. An orphaned Siberian teen faces murder charges and an escaped pack of pet wolves. What Stormi doesn't expect is the final, life-altering gift from Matt's ex-girlfriend. 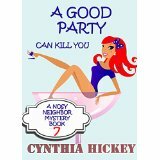 Nor does she expect her bachelorette party to lead to murder. Jake escapes from the remote Appalachian cabin—the only home he has ever known. And Father hunts him down with the very rifle he used to kill Sam and Mama. In the novella, An Apple a Day, Dr. Brian Coridan needs a break so he vacations in quiet Blossom Lake, Wisconsin where he never expects to be distracted by Talia Fountain, the town's "health food nut." In September Sonata, Krissy and Blaine's marriage is in its autumn season...or is it just over?—and in Let it Snow, they were once a couple, engaged to be married, until Shari Kretlow ran off with another guy, but decades later, Shari is a widow who finds herself stranded in a Wisconsin blizzard on Christmas Eve, and it's her former fiancé, Brenan Sheppard, who comes to her rescue. Gil Montgomery, a cadet in the Temporal Counseling Program, can’t wait to pass her field exam and become a professional time surfer. The TEMCO program targets death-row offenders for time-based counseling while they’re children. For her exam, Gil will travel twenty-four years into the past to counsel ten-year-old Danny Winston before he murders his abusive babysitter, Rick Olsen. Preventing the stabbing should stop the chain of events leading to Danny’s eventual execution. Gil’s assignment seems simple until her adviser, Dr. William Ableman, learns that Rick is a serial killer targeting Danny’s mother. If Gil stays and protects the Winstons, she might not survive. 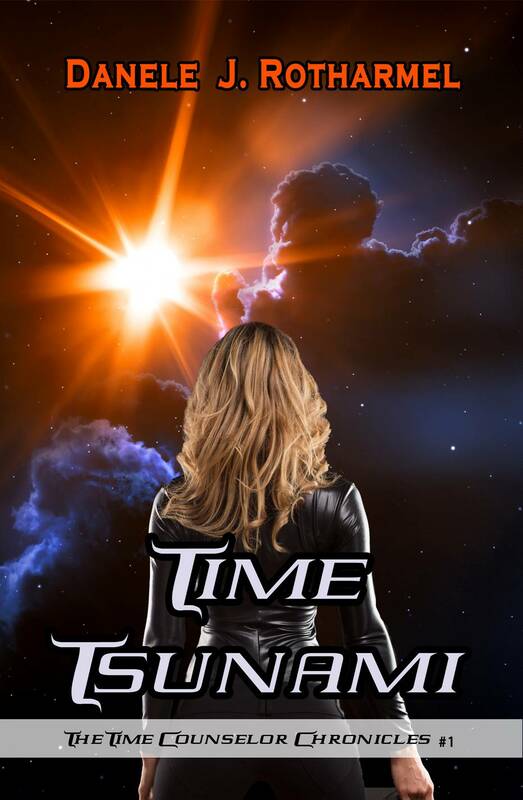 William wants the woman he loves to be pulled from the field, but if Gil fails to complete her assignment, it will unleash a Time Tsunami and destroy the timeline. As TEMCO undergoes an emergency lockdown, and Gil’s fellow cadets try to figure out what’s happening, Gil and William learn the importance of faith and the price of true love. Everyone’s fate is resting in Gil’s hands, but does she have the strength she needs to defeat a ruthless serial killer intent on annihilating everyone in his path? Danele, what do you love about this book? I love my plot twists! At times, my illness (Multiple Chemical Sensitivity) was extremely painful, and on certain days, I would lie in bed looking at the clock trying to convince myself that I could survive for thirty more seconds. That’s how I got through some days—seconds at a time. But when I started writing Time Tsunami, my painful days changed. Rather than staring at the clock, I would peer up at the ceiling and think up plot twists. I would try to imagine the most unlikely thing that could happen to my characters and then I would figure out how to write it into my story. Instead of concentrating on my pain, I began concocting devious twists and sneaky clues that I could fold into my narrative. Time Tsunami is full of surprises! I’m very proud of my plot twists—not only from a literary standpoint, but also because each one represents my triumph over pain. Introduce us to your most difficult character. The most difficult character in Time Tsunami was Crystal Stuart—not because she was hard to write, but because she was so much fun. If I let her, Crystal would totally steal the show. During my seven years of quarantine, I wrote the first six books of The Time Counselor Chronicles. In my first draft of the books, Crystal stepped onto the stage at the end of book two—but she wasn’t content to stay there. 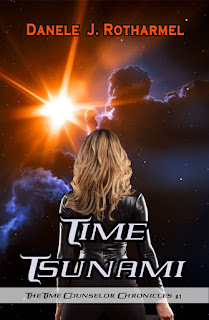 When I was revising the first book of the series, Time Tsunami, Crystal demanded to be part of the action, and eventually, she became a main character. Crystal’s nickname is “Klutzy Crystal” and she really lives up to it. She’s always getting herself into silly situations. She has a hard time fitting in with her peers, but she has a heart of gold that’s just waiting to be discovered. I really love Crystal—she’s one of my favorites. Danele, can you share two things you learned while writing this story? The first thing I learned (although I already knew it) was that I have a really incredible family. When I told my parents and siblings about my books, they rallied around me in a unified show of support. They helped me proofread my manuscripts, and they gave me excellent suggestions about how to make them better. When my editor at Prism Book Group received Time Tsunami, she was very impressed by its quality. I know that’s partly due to the unified efforts of my wonderful family. I really love them! The second thing I learned was the truth of Romans 8:28. God really can make all things work together for our good. My illness and quarantine stopped my life in its tracks. In many ways, I lost everything—my health, my job, my social outlets—everything! At the time, I thought my life was over. I thought nothing good could possibly come out of such painful circumstances. But looking back now, I can see that God brought incredible blessings out of my pain. I’m a different person now. I’m stronger, kinder, and more patient. I’m also closer to God. The silence of quarantine opened me up to hearing God’s voice. I learned how to be still and listen. If I hadn’t been ill, I never would have stopped my busy lifestyle. I never would have had the time to write my books. Every time I read one of my novels, I realize that God has redeemed those painful years. He has brought something wonderful out of my quarantine. He has indeed turned something awful into something good. Time Tsunami and the rest of the books in The Time Counselor Chronicles are tangible testaments to the fact that God is faithful and that Romans 8:28 is true. When I was in quarantine, I wrote the first six books in The Time Counselor Chronicles. Prism Book Group has given me a contract for the second book in the series, Time Trap. Currently, I am polishing the third book, Time Search, and preparing it for consideration by my editor at Prism. I’m very excited about my book series. I believe that each book is even better than the last. All six books deal with the same cast of characters, so by the time you read them all, the characters feel like family. I read so many books that it’s hard to keep track. Lately, though, I’ve been rereading Brushing Fire: Soul Poetry by Anna Marie Kittrell. Brushing Fire is a book of Christian poetry that covers a wide range of topics. I really love it. I’ve read some of the poems so many times that I practically have them memorized. The poetry in Brushing Fire rings with such inspired truth. I think it is incredibly beautiful. I’ve also been reading your children’s book series, First Children of Farmington, to my niece. I really love the Farmington books—especially Green Leaf, the Potawatomi Boy. My niece is enjoying them too! She’s also been having fun with the hidden picture puzzles at the end of each Farmington book. Lisa, thank you so much for allowing me to speak with you and your readers. I’ve had such a marvelous time. Thank you for this opportunity! I hope that you, and your readers, have a really wonderful day! My Great Pleasure :0 and thank you! be a writer. However, her life took an unexpected turn when a mysterious illness brought her close to death. Eventually, she learned that a low-level carbon monoxide leak from a faulty furnace in her home was slowly poisoning her. This poisoning triggered severe Multiple Chemical Sensitivity and partial amnesia. Peppered with mystery and intrigue, The Dividing Stone engages the reader in a dynamic interplay of supernatural forces, reflecting the multifaceted reasons for the demolition of marriages and division in the church. It explores the spiritual and human dynamics involved in the treacherous plot to destroy believers, and the extraordinary power of prayer to overcome evil. A sinister, dark force hovers over the unsuspecting valley when Margo Pierson discovers a tattered letter illuminating a mysterious ancestor and warning them of "a diabolical evil that stalks this town." Though preoccupied with preparations for the prestigious craft show, Margo, the young potter, is catapulted into a quest to unearth the truth and expose the uncanny murder of her namesake. Unwittingly, she and her companions stumble upon an ancient stone that holds the secret to both the past and present dangers. Caught off guard by her nemesis, Bill Guiles, he kidnaps Ms. Pierson and attempts to erase all she discovered of the secret society. Will their plans be thwarted? Will havoc be the new order? Will relationships be ruined and marriages annihilated? As the forces of good and evil engage in a spiritual battle in the heavenly realm, can Margo survive and foil the deadly curses set in motion centuries ago? Come join Margo Pierson and friends for a roller-coaster ride and supernatural adventure of your life! L: Anita, tell us why you wrote The Dividing Stone. A: I started writing bits and pieces of the Dividing Stone many years ago when I was trying to understand why our vibrant church was being ripped apart and disintegrated before our eyes. We were leaving in a liberal college town known for its openness to New Age philosophy, covens and magic and I began to wonder if the spiritual atmosphere was the cause for the break up. If we were engaged in a spiritual battle, we had no idea it was so powerful. L: Wow, Anita, that sounds like quite an experience. What drove you on? A: Because of the historical significance of the area, I felt compelled to do some research about the town and found some connections to what I believed might be some underlying causes of division. Though the story deals with dark forces and spiritual battles in the heavenly places, the "diabolical evil that stalks the town" is bent on dividing and destroying Christians and the tiny band of prayer warriors of which the main character, Margo Pierson, becomes their chief target. L: Tell us about the plot, Anita. A: When I began to develop the plot for the book, I wove in some of my own experiences during this time, my research and what I believed God inspired me to write. Being a lover of mysteries, I embedded this into the plot and intertwined the spiritual and other aspects. At that time, I became a fan of Frank Peretti and found that my writing was similar to his. It was then that I incorporated scenes with the demons and angels, which I believe make it more powerful. L: You've written non-fiction before. How long did it take you to write this book? A: It took me years to write because I was waiting on God to guide me through. Every time I wrote something more, it was validated by research or something that I actually discovered. For example, when I started incorporating the freemasons into the historical component and general plot, I discovered at Sturbridge Village a building that had a room set aside for the Mason's meetings. The all knowing eye was painted on the ceiling. L: Were you worried about making the story too dark? A: I struggled with the plot at times being too "cutting edge" and dealing with a very dark evil. When I first started writing The Dividing Stone the group I had in mind were the worst I could imagine, but as ISIS began to be exposed for their cruel beheading, crucifixions and torture of Christians, the pages of the book leaped out as real. Thought it took me over twenty years to complete, I believe the timing is perfect and the message of The Dividing Stone relevant to what is happening today to Christians. L: Sounds exciting, Anita! Best wishes. To find out more about Anita and her work, Visit her blog. 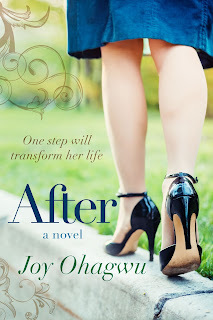 After, an inspirational novel by contemporary Christian fiction author, Joy Ohagwu, is poised to spotlight the strength in transformation, courage in love, and hope in times of despair. One step will transform her life. Former highbrow stock trader, "JB" Patrickson has had enough of life making mockery of his best laid-out future plans. His father insisted he'd never make it more than selling " chickn" stock in Kentucky. Proving him wrong, JB succeeded at the NY Stock Exchange, becoming one of the best US traders...until the market crashed in 2008. Seven years later and mired in debt, he can't shake the urge that God is leading him down a different path. The path of accepting his grandmother's request to come help manage her farm, couple hundred miles away, despite his little to nothing knowledge about farming. Has he fallen low enough to toil with his hands to eke out a single meal? What future could God plan for him on a farm? Twenty years after returning to the US from a fulfilling medical mission in Asia, Dr. and Dr. Mrs. Cantwell gratefully send off two sons to college, purchase a flourishing twenty-acre farm, and prepare to settle into their empty nest stage. But what will they do if God leads one more life into their path, one needing stitches of the soul not of the body? Can they answer His call to service, or will overlooked pain from the past threaten the fragile peace they'd so desperately coaxed into existence to survive together? --I love the book, AFTER! The cover is catchy, and the contents, inspiring! --I personally saw the love poured into writing "After" and I hope it blesses everyone who reads it! It's Awesome!!! --CANNOT WAIT TO READ THIS BOOK, JOY!!!! COVER IS ALSO FANTABULOUS!!!! Q: Joy, what was writing After like? A: Thank you for asking. First, I’d like to appreciate everyone that voted for After during the COTT contest. Thank you all very much. I started writing After during NaNoWriMo 2013. Then earlier in summer 2015, after I wrote Candace in as a character for Blossom and Josh's story(which is now After 2), her personality and voice got so strong that she took over the story! It was amazing. I trusted my gut, went with the flow, and ended up publishing Candace's and JB's story as the first in the AFTER series. The AFTER series is about transformation and positively changing one’s lifestyle through fitness. But more importantly, After shows us that we should allow God to assist us in every area of our lives, especially those places where everyone expects us to fail. You can read the story here. Although I enjoyed writing about Candace and JB, I'm glad that I finally completed Blossom and Josh's story as well and it released as After 2 in November 2015. Q: Can you share with us about your next book? A: Sure. I'd love to. I'm presently writing Uncommon Ground, the first book in a romantic suspense series, and I’ll share what the story is about. Stella is a widow who's juggling a career and raising an older teen that doesn't believe in God. A disaster occurs that separates them and turns their world upside down. 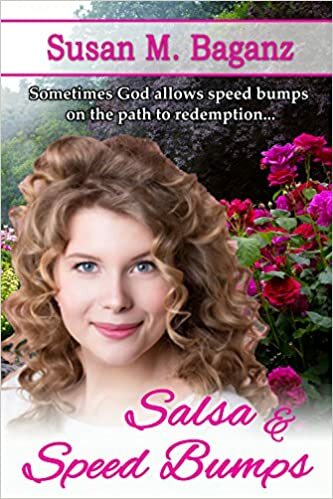 Stella's concerns multiply in the ensuing chaos after she meets Michael, a Christian man with a mysterious past and she wonders how many more unseen twists God trusts her to handle. Like Psalm 68 verse 5 says, God is a defender of the widows. Uncommon Ground is a story where we can identify with each of the characters’ struggles, and if we let it, it can potentially kick our faith higher into greater dimensions. After reading Uncommon Ground, we get to appreciate some of the things we usually take for granted as Christians. Uncommon Ground becomes available for preorder Jan 1, 2016, and I pray everyone gets their copy. Thank you very much for having me here. God bless you! Joy Ohagwu is the bestselling author of The New Rulebook suspense series. 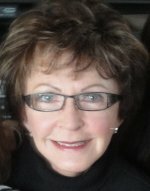 Her novels are romantic suspense and inspirational stories geared to engage, inspire and entertain readers. She earned a Masters' Degree in International Affairs from American University, Washington DC; and a Bachelor of Science in Political Science from the University of Ibadan, Ibadan. Professionally, she’s been honored with multiple awards for pioneer academic research, student leadership and overall excellence. Joy is a member of the American Christian Fiction Writers(ACFW) organization. She pens stories during evenings, weekends, and whenever the food takes too long to cook. Despite the many hurdles she has faced, she counts God as being faithful in her life. Joy lives in the beautiful State of Maryland. 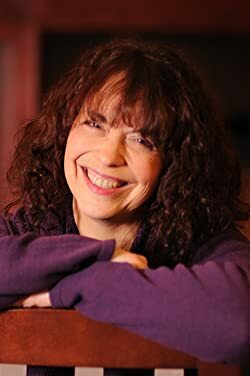 You can connect with Joy on her website, and follow her Author page. In the late 1800s, Grant and Lily have established their farm amongst the bluffs of western Wisconsin. As they anticipate the birth of their first child, tragedy strikes. 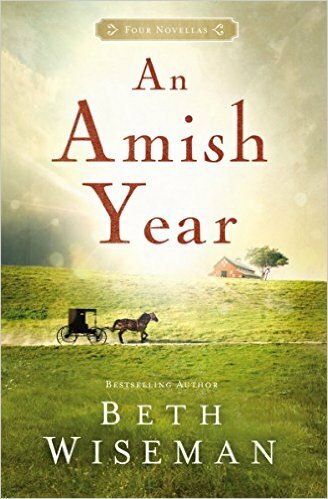 With shaken faith and grief driving a wedge between them, is it possible for three orphans to heal Grant and Lily’s heart and relationship? For a short read, Fragile Blessings packs a lot in, leaving the reader to ponder the events of the story long after the last page. 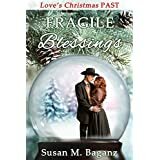 Baganz has the ability to transport readers to the past effortlessly, making you feel as though you’re in the cabin, on the farm, or traveling through the snow with Grant and Lily. Told from the viewpoint of the main characters, readers will struggle through emotions, tense situations, tragedy, and heartache at both sad and newfound, precious and sweet events in the lives of these settlers. Using real communities and even little facts, like the round barns built there, Fragile Blessings will stroke your heartstrings. Life and love, even faith, is a fragile entity, but the ability to grow, accept that God is in control, and move on without forgetting and through the help of loved ones, is the surest blessing. Recommended for those who like a bite of an historical inspirational story with a lot to think about. She has been published in Splickety Magazine and in the I Choose You anthology with OakTara Press. Her contemporary inspirational novels form The Orchard Hill Romances and include: Pesto & Potholes (2015),Salsa & Speed Bumps (Jan. 2016). Feta & Freeways (Sept. 2016), Root Beer & Road Blocks, Bratwurst & Bridges and Donuts & Detours. You can learn more by following her twitter feed @susanbaganz or her fan page,www.facebook.com/susanmbaganz. Good Book! 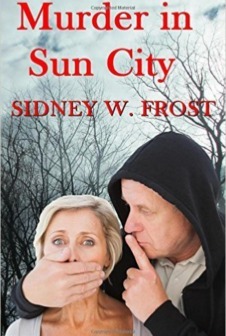 Inspirational Cozy Mystery by my friend, Sid Frost. Enter the Drawing. Giveaway ends February 05, 2016. Home of Book Exchange Tuesdays! A broken heart...When Sydney Richardson meets Pastor Noah Charleston it was practically love at first sight. Sydney has battled so much deception in her personal life and in her work as an attorney, she is glad to have a perfect man she can depend on. 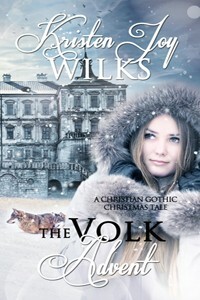 But her Prince Charming has some secrets that are worse than Sydney could have ever imagined. What will she do when Noah's past life come to light? 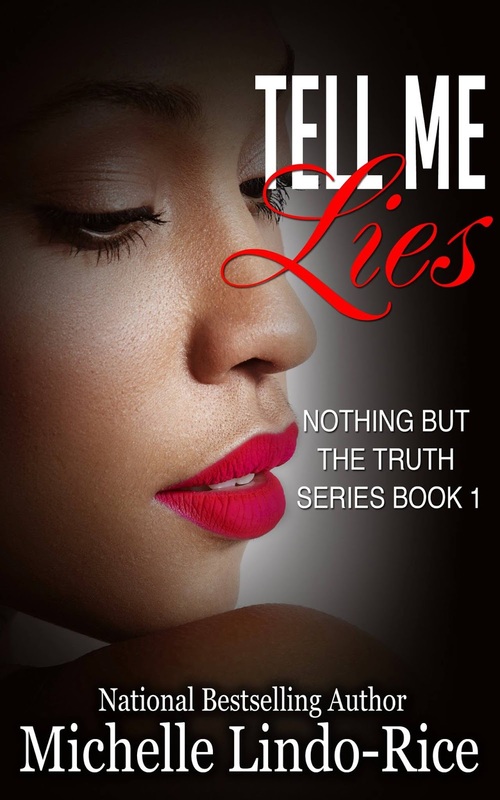 A broken truth… Pastor Noah Charleston has come a long way since his troubled youth. A respected Man-of-God, Noah’s long buried past emerges in the form of blackmail and threats. Noah not only fears for his safety but also for his newfound love. 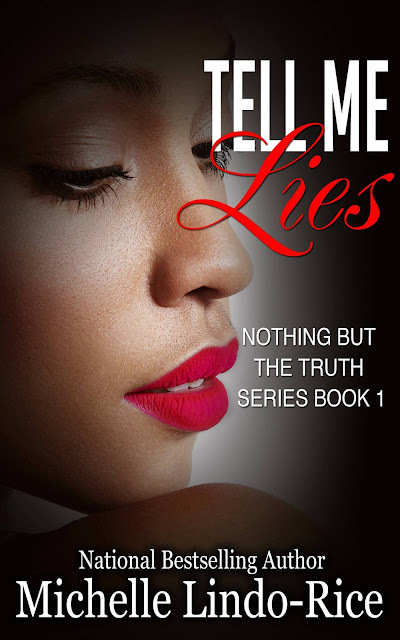 Will he take a chance on the truth before it’s too late? A broken trust...Newly converted Christian, Belinda Santiago, harbors a secret that could end her friendship with Sydney. She’s in love with Lance Forbes, Sydney’s ex-fiancé. When Belinda and Lance’s relationship is exposed she may have to choose between her man and her best friend. A broken man...Lance Forbes returns to Port Charlotte to make things right with Sydney, but his feelings for Belinda are in his way. Lance knows for him to become a do-right man, he must face his childhood pain. Will Lance get his act together and take a chance on love or run again? Noah looked at the photograph of his parents and closed his eyes to keep the tears from falling. It was his most prized possession. When he had been sent here to the juvenile home two months ago, Noah had placed it under his pillow before lunch. When he checked for it later that night, it had been gone. He searched everywhere but couldn’t find it. That was the first time since his parents’ funeral Noah had cried himself to sleep. “Thank you,” he grounded out. “Thank us by joining us,” Mitch said. The Whiz held up a picture. It was an African-American by the name of Tony Billows who had taken it. “The Avengers,” Wylie and Roger said in unison. They held out their fists. Noah had reservations but Mitch had used the magic word. Family. Noah wanted family. He made a fist and the boys all did a fist bump. “The Avengers,” he said. “Glad to have you,” The Whiz whispered. “Now, let’s get you some proper clothes and a haircut.” Noah swallowed his reservations. He had a family again. Nothing else mattered.